Excellent coverage IT. Keep up the good work! I look forward to the Skyrunner World Series coverage, which coverage has been lacking here in the US. Thanks a lot! … very interesting and entertaining. Please do not forget US runners (are there any US runners consistently running in Europe ?) … even if they are not as high in the ranking in these series. Also – a possible suggestion for some future write-up – what all “championships are out-there ? I think it would be interesting to see (or its lack of) this in perspective to UROC. I’ve been there. Great run! 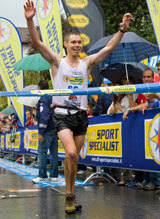 I would forget – see us on skyrunningpoland.wordpress.com – I am introducing the idea in Poland.